If you learn coding and some languages. You might hear about scripting language, markup language, and programming language right? So, never confused about it. Here we discussed what the difference between these three types of coding. A programming language is a formal language that allows the programmer for design instruction for hardware. Programming languages are used to communicate with hardware with a set of instructions. Programming languages used to transform data by CPU and rewrite it and give the desired output. Use for making Computer software, driver, etc. Basically, Scripting languages are programming language but it is mediate between the program to generate output. The main feature of the scripting language is to guide the other program. Like, give a script to an actor to perform their task. This language interpreted rather than compile. It might take some time longer time to run. First, its interpreted on supporting system. Markup language simply means makeup for website or data. It is not a programming language. It is used to how to represent data to use for interaction. Markup language controls the presentation of data. For example, using HTML, we describe Title, text content, input forms, heading in over website. Means markup languages describe the data and formatting in a textual format. 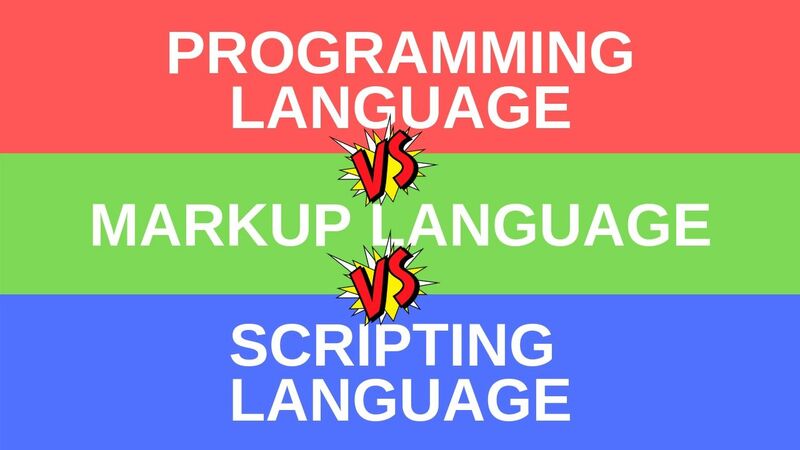 So, these are the difference between Programming, Scripting and Markup Languages.